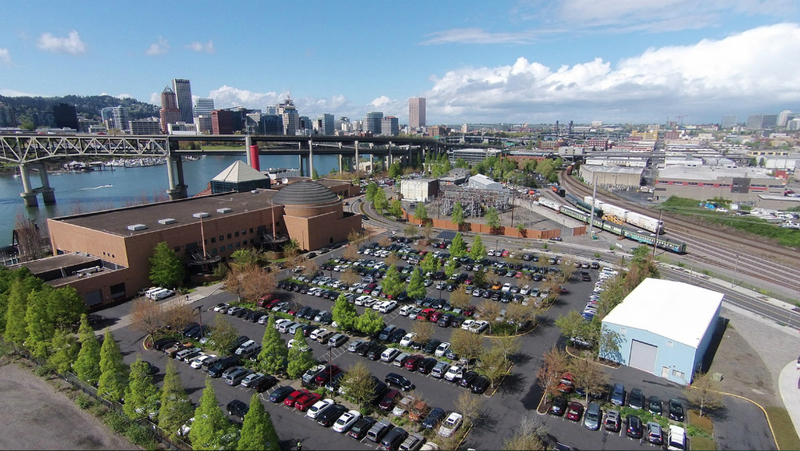 The Oregon Museum of Science and Industry (OMSI) has tapped international architecture firm Snøhetta to lead the master planning process for the riverfront institution’s 16-acre campus located in on Portland’s eastside. Snøhetta, who has offices in New York and San Francisco, as well as abroad, will work with several local firms and OMSI stakeholders in order to provide a “market-driven strategy that outlines the best economic and environmental uses of OMSI’s physical property while highlighting the museum’s work as a cultural touchstone, science education resource, and trailhead to connect the community to learning and skill-building opportunities that equip them for 21st-century jobs.” The project will bring the firm together with economic consultants ECONorthwest, engineering firm Buro Happold, planning firm Spencer Consultants, traffic consultants DKS, civil engineers KPFF and Portland, Oregon—based landscape architects Mayer/Reed as the team hopes to articulate this future vision for the campus. Work on the OMSI Master Plan is set to begin this month and will continue into the spring of 2017. The project comes as Snøhetta’s work across West Coast expands, with recently-completed projects like the 235,000-square-foot expansion to the San Francisco Museum of Modern Art and a proposal for a new public market in Portland garnering region-wide recognition for the firm.